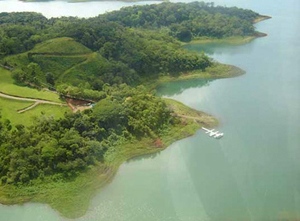 A60 11.9 prime acres with volcano and lake view and fine building sites - $16 per square meter. 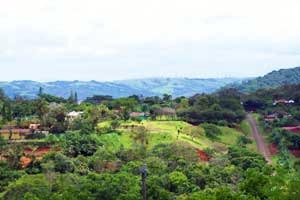 L42 2.5 acres with small house and great volcano view, more building sites, $91,000 or offer. 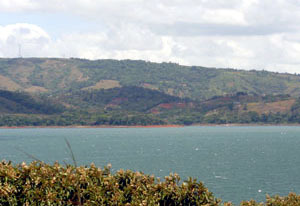 L8 Twenty view lots near Aguacate. Sizes, shapes, and prices vary. 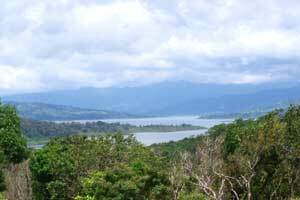 The photo at left shows from the southern side of Lake Arenal the Aguacate area with its great variety of terrain. 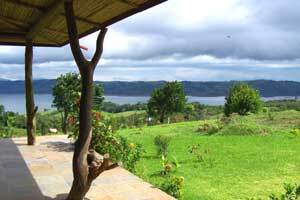 The photo at right shows the view from an Aguacate veranda. The dock at Turtle Cove near Aguacate. 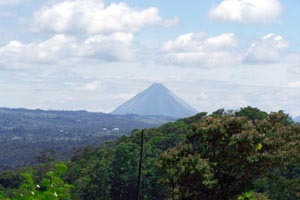 The area has great Arenal Volcano views.